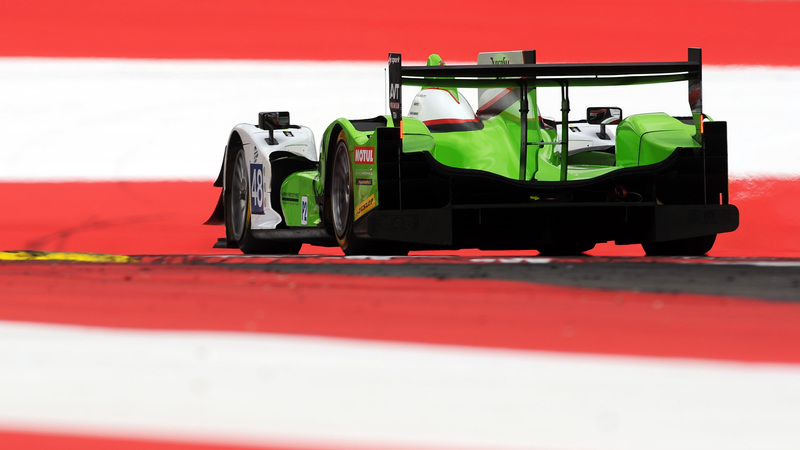 The 4 Hours of Red Bull Ring – round three of this year’s European Le Mans Series (ELMS) – saw the Murphy Prototypes Endurance Racing Team score a convincing eighth place finish. Following a consistent and solid performance by all three of its drivers: C4 F1 Technical Expert and commentator Karun Chandhok; Italian businessman, Guglielmo Bellotti and 22-year old Sean Doyle from Ireland, the team came away from the challenging 4.326km circuit that hosts the Austrian Grand Prix, more than satisfied with the outcome. Having shown good pace during the 90 minute Free Practice session on Saturday morning, Doyle was selected to qualify the car and, as a result, made history by becoming became the first ever Irishman to take part in an LMP2 qualifying session in the history of the ELMS. Doyle’s efforts placed the team’s Oreca 03R – still sporting its bright green livery from Le Mans – 10th on the grid. The team was understandably pleased with the performance, as the set up on the car was more in step with the requirements for the race than just one quick lap. Belotti was to drive first and, with the clouds over the surrounding mountains parting and the sun shining as the green flag fell at 14.00 (CEST), the Italian made a clean start. Having skillfully kept out of trouble on the first lap, Belotti held on to 10th place. It didn’t take him long to get into his stride and, after ten minutes, he moved up to ninth and briefly held eighth before completing a very well driven 45-minute stint. It was then the turn of Chandhok, who had joined the team for this race bringing with him his extensive experience and media profile. Although the former F1 driver’s last event with the team was over a year ago at Le Mans, he was soon on the pace and began setting sector times that were commensurate to that of the front-runners. With new tyres and fuel also required during the pit stop, Chandhok had joined the race in 10th and quickly started to push. After gaining a position and making another stop exactly on schedule after 90 minutes, the second half of his double-stint saw him push even harder and begin to close on the cars ahead of him. With just over 90 minutes of the race remaining, Chandhok exchanged roles with Doyle, who was to take the car all the way to the finish. Coping with two full-course yellows and making up another place with an hour and 20 minutes to go, Doyle held a solid eighth. But with little possibility of him catching the car ahead and or being caught by the car behind, consolidation was the order of the final hour. development programme – delivered a performance that defied his experience at this level of the sport and he crossed the line to complete an extremely positive weekend for the team. The result was made even more rewarding for the team, as the car had performed faultlessly and consistently throughout its four hours of competition. Round four of the European Le Mans Series – the 4 hours of Le Castellet – takes place at the Paul Ricard Circuit on 28th August.